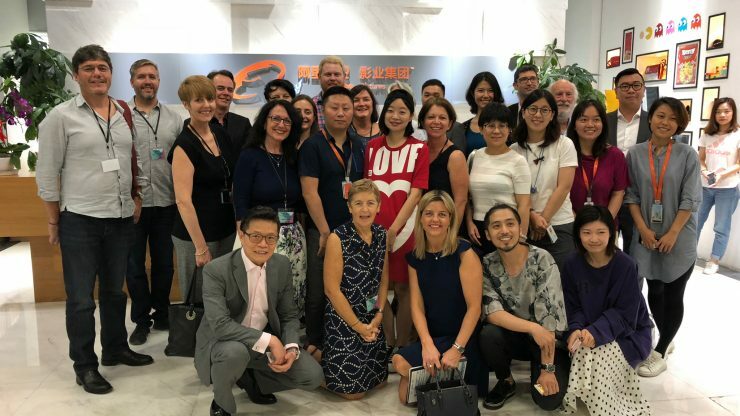 29th June 2018: Ausfilm and Screen Australia led a delegation of Australian film and TV industry companies and state government screen agencies to China for its annual Australia China Film Industry Exchange in the lead up to the Shanghai International Film Festival in June this year. 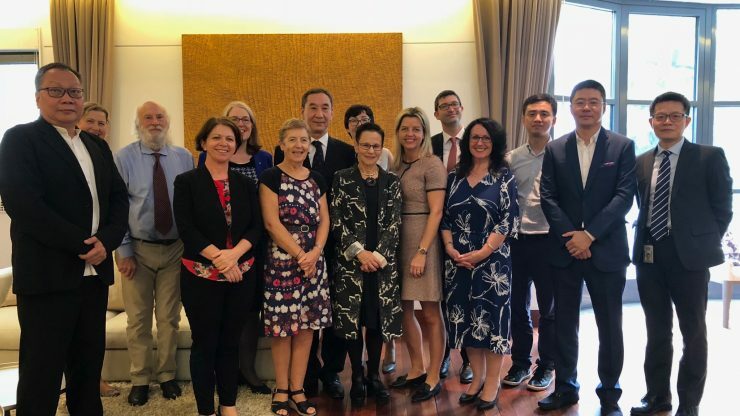 In its 8th year the Australia China Film Industry Exchange was developed to help Australian screen businesses and Australian producers to build business partnerships and explore opportunities for film and TV co-productions with Chinese screen executives and entertainment and media companies in China. 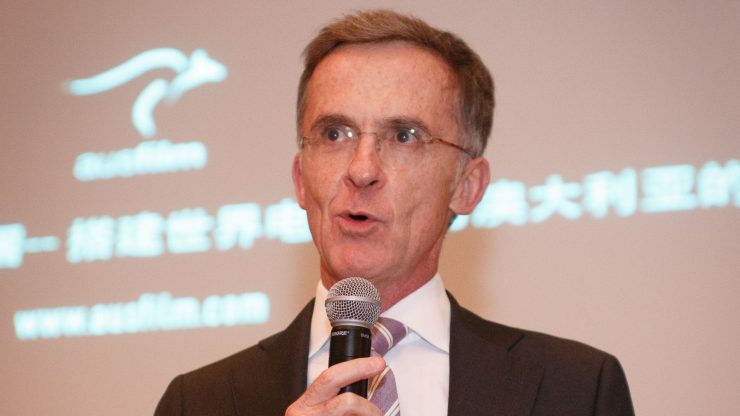 Victorian Minister for Creative Industries, Martin Foley, announced today the Australian Chinese co-production, The Whistleblower has been secured to film in Victoria this year, this is a direct outcome of the annual Australia China Film Industry Exchange. 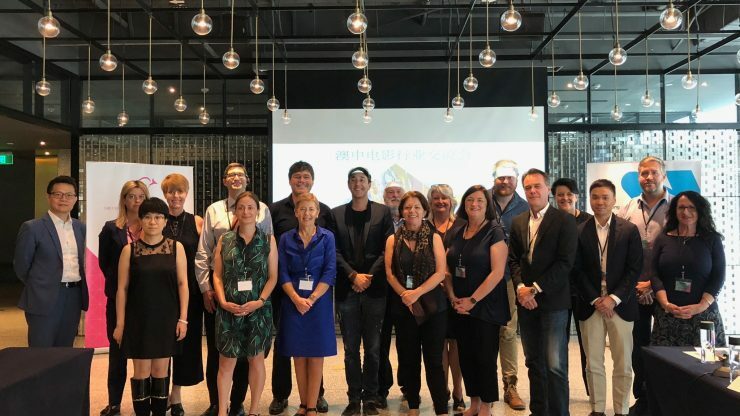 Ausfilm and the Australian Embassy in Beijing co-funded a scout to Victoria and NSW for the Chinese producers and director of The Whistleblower in August 2017. Creative Victoria and Film Victoria are supporting this production and the film will employ 220 screen professionals and 800 Victorian businesses in the state. Perfect Village Entertainment vice chairman Greg Basser is producing with Edko Film’s Bill Kong and Beijing Carving Films. The film is also receiving assistance from the Federal Government through Screen Australia. 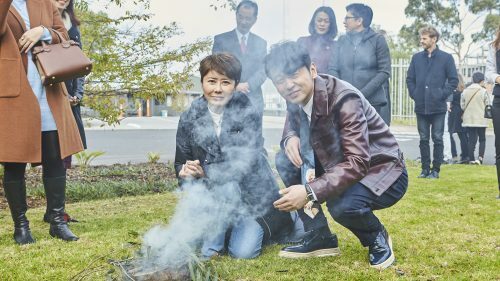 The production will film at Docklands Studios Melbourne and locations across Victoria and is touted as one of the largest Australian Chinese official co-productions to film in the state. 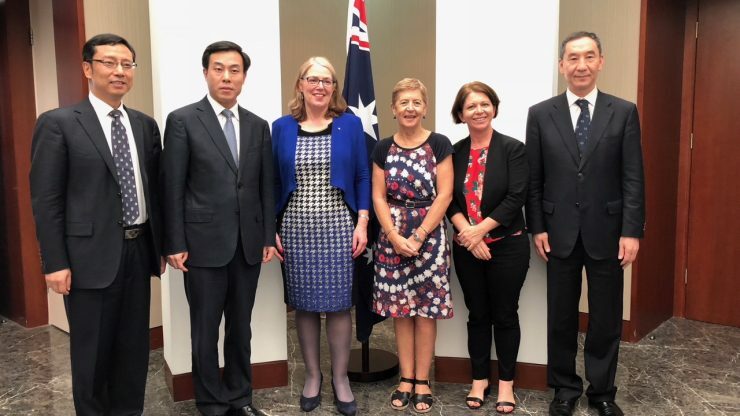 The Australia China Film Industry Exchange has had long time support from the Australian Federal Government through the Department of Foreign Affairs and Trade and the Department of Communications and the Arts and Austrade. 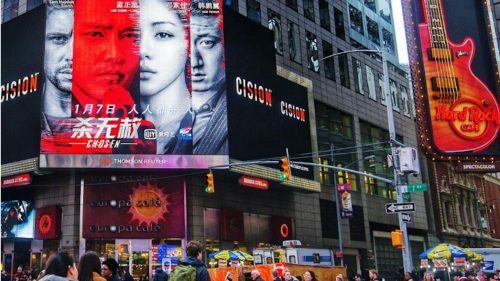 The program includes business to business meetings, networking events and exchanges of market insights with some of the biggest entertainment companies in the world such Tencent Media and Alibaba Pictures. The Australia China Film Industry Exchange’s mission to China further supports the Federal Government’s recent announcement of a $140million Location Incentive to attract more international film and television productions to Australia and help with direct foreign investment into Australia’s economy and screen industry. 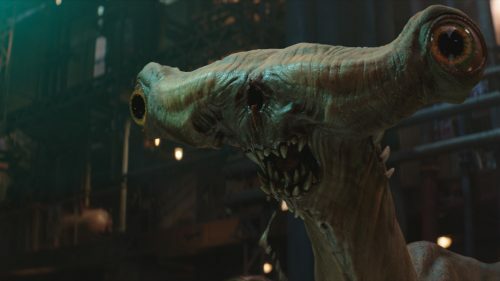 China is currently the world’s second-largest movie-going market and official treaty co-productions with China are becoming a key growth stream for the Australian screen industry, over and above the existing appetite for unofficial Chinese television and film productions choosing to film in Australia. The most recent official Australia China co-production feature film At Last was filmed in Queensland last July and was written and directed by Yiwei Liu, produced by Jackie Jiao, Todd Fellman, Charles Fan and Vanessa Wu, from China’s Monumental Films, Australia’s Roadman Films and Story Bridge Film. At Last marks the 7th Australian-Chinese co-production announced since the official treaty was put in place in 2008, and joins a growing list which includes 7 Guardians of the Tomb starring Li Bingbing from writer/director Kimble Rendall (Bait) and The Longest Shot filmed in Victoria due for release this year, with 33 Postcards, The Dragon Pearl and Children of the Silk Road also produced to date. In addition there are a growing number of Chinese productions being filmed in Australia, including episodes from the highly successful television series Old Boy from Huace Media Group facilitated by Sydney Films which filmed in NSW, Sony & Playmaker’s television series Chosen and Village Roadshow Pictures Asia and Heyi Pictures’ Bleeding Steel starring Jackie Chan which was the largest budget Chinese production ever to shoot in Australia. The upcoming production filming in NSW, Butterflies Across the Sea will be one of the biggest budget Chinese television series to have been filmed outside of China and joins Chinese film Speed which filmed in South Australia in March of 2017. 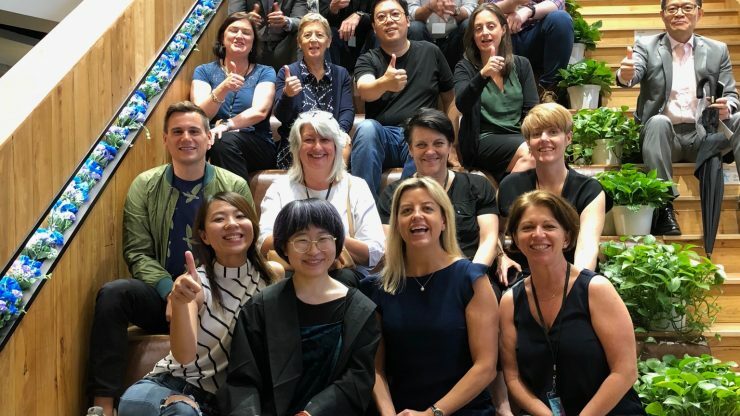 Screen Australia manages the official co-production program on behalf of the Australian Federal Government, and has seen increased interest in Australian-Chinese co-productions. A co-production is considered official once it has received approval as a co-production from the relevant competent authorities. * To download photographs from the event click here. Mr Liu Chun, Director, International Co-operation, CHINA FILM BUREAU; Mr Li GUO Qi, Deputy Director General, CHINA FILM BUREAU; Australian Ambassador Jan Adams DFAT; Debra Richards, CEO of AUSFILM; Michele McDonald, Senior Manager Producer Offset & Co-Production Unit, SCREEN AUSTRALIA; Mr. Miao Xiaotian, President, CHINA FILM CO-PRODUCTION CORPORATION. Edward Cheng, CEO of TENCENT PICTURES; Sheila Lutner, AUSTRADE; Matt Carroll, CREATE NSW; Michele McDonald, SCREEN AUSTRALIA; Jan Adams AMBASSADOR PROC; Debra Richards, AUSFILM; Mr Miao Xiaotian CHINA FILM COPRODUCTION CORPORATION; Ellen Eliasoph VILLAGE ROADSHOW PICTURES ASIA; Caroline Pitcher FILM VICTORIA; SCREENWEST Seph McKenna; Gina Black, SCREEN QUEENSLAND; Jun Meng CFO of ALIBABA PICTURES; Yu Dong CEO of BONA ENTERTAINMENT GROUP.